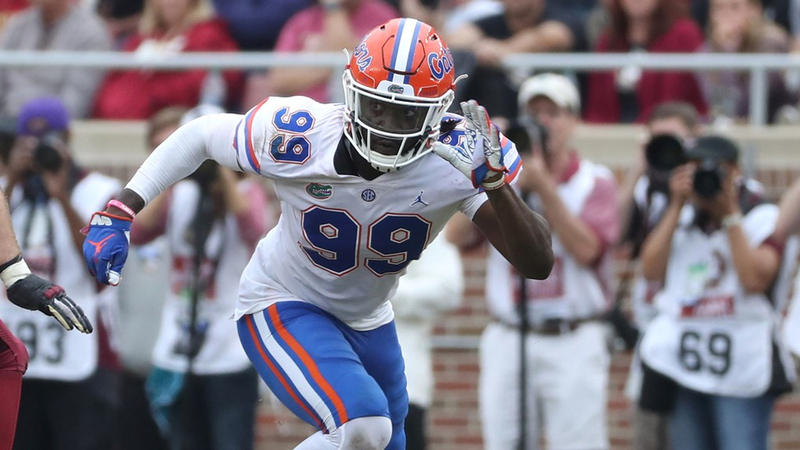 At Florida's Pro Day on Wednesday, EDGE prospect, Jachai Polite was quoted as saying, "My visits are going to be very important because it’s a chance for them to actually get to know the real me.” While much of the outside world is focused on a players athletic testing and highlight tapes in the weeks leading up to the draft, NFL teams are still flying players across the country for official visits. 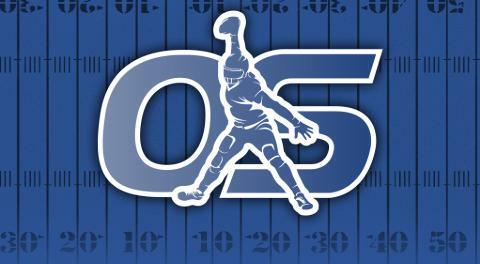 It provides each organization with the opportunity to connect and spend quality time with each player in a one-on-one setting. While the on-field talent is important, teams go to great lengths to understand a players upbringing, worth ethic, lifestyle etc to get a feel for if they will be a fit for their organization and have what it takes to make the difficult transition from college to the pros. "Everyone can evaluate the talent but it's usually the person that separates yourself in the league," said 49ers Head Coach Kyle Shanahan at his Senior Bowl press conference. Unfortunately, Jachai Polite's performance at the NFL Combine might have left teams with more questions than answers and in the coming weeks, he'll have the chance to right those wrongs. While the media may not have the opportunity to get to know Jachai Polite at the moment we can definitely take the time to understand his game and his NFL outlook. When evaluating prospects, it is critical to identify what makes that prospect unique, what do they do well and what areas of their game need improvement. The follow-up questions are very simple; will their successful skills translate and can you work around or improve the weaker areas of their game? After a quiet first two seasons in Gainesville, including a season-ending injury, Polite burst onto the scene in 2018 and was named 1st-team All-SEC and 2nd-team All-American by the Associated Press. Polite led the nation with 6 forced fumbles and racked up 11.0 sacks and 19.5 tackles for a loss. As one of the more dynamic pure pass-rushers in this class, Polite can bend around the edge, use his hands at the point attack with quick, well-timed punches as well as finish in the pocket. His ability to rush the passer is not under question in the evaluation process. What makes Polite such an intriguing case study, not only because of how his perceived draft stock has fallen significantly, is that his usage alone at Florida suggests he is a fringe Day 2 player. At Florida, Polite only started nine total games and was not utilized in many of their base defensive sets. He was purely a situational pass-rusher, who struggled immensely against the run. His ineffectiveness at setting the edge is a culmination of his lack of instinctual awareness, functional strength, and shedding ability. He can get smothered by bigger offensive tackles who can quickly strike first and use their momentum to funnel him away. The quick, explosive first steps and hands we see in pass sets are not on full-display in the running game. Is this a coachable trait, or is it something Polite will be plagued by during his entire NFL career? We will find out how NFL teams feel about him in April, but Polite is not the first undersized edge rusher of this type. Two years ago, Alabama linebacker Tim Williams was in the same situation. Williams tore up the SEC and was almost an automatic QB pressure when rushing the passer his Junior and Senior years. Character concern rumors followed him along the entire draft process too. On the field, the knock on Williams was his run defense. Sure, he was a dynamic pass rusher on Saturday's but did his game hold enough value to be an every-down player on Sunday's? The Baltimore Ravens ultimately selected Williams in the third round of the 2017 NFL Draft, and the investment has yet to pan out. Williams has made a minimal impact his first two seasons as he's been buried on a talented outside linebacker depth chart that has consisted of Za’Darius Smith, Matthew Judon, Terrell Suggs, and Tyus Bowser. He has not shown the ability to win with his athleticism or speed that he once did he in college. With Smith and Suggs leaving in free agency, it's now or never for Williams this upcoming season. One a positive note, the San Francisco 49ers newest linebacker, Dee Ford is coming off a 13.0 sack season and earned his 1st Pro Bowl selection. As a Senior at Auburn, Ford was named 1st-team All-SEC and parlayed a strong season and National Championship game into a 1st round selection. After a couple of quiet seasons, Ford exploded onto the scene in his third season recording 10.0 sacks and two years registered a career-high 13.0 sacks. Coming out of Auburn, Ford had similar on-the-field concerns as Polite regarding his size and ability to shed blocks in the running game. However, over time Ford developed a role for himself in Kansas City before earning a lucrative contract in San Francisco. Player comparisons are subjective and do not always tell the entire story. Polite isn't identical to Williams and Ford but the point is to illustrate that the path for an undersized edge rusher to succeed in the NFL can be a difficult one. Whether or not Polite will deliver at the NFL level is unknown, but as the draft approaches it'll be interesting to gauge his value. Will he be a surprising first-round selection like Dee Ford, or will he fall to the later rounds of the draft like Tim Williams? More importantly, will the team that drafts him understand how to use him and put him in a position to succeed? The key with Dee Ford and likely part of the lack of success with Tim Williams has been situational usage. Understanding what a player can and can’t do and deploying them accordingly is critical for success.